West London police were called to the West London Hotel early this evening in answer to a report of a possible homicide. Guests and staff told this reporter that the call was made by well-known West London baker and owner of Mrs. Hudson’s Tea Room, Jayne Wilson. Ms. Wilson politely told the Star that she had nothing to say at this time. Ms. Wilson’s companion, Gemma Doyle, owner of the Sherlock Holmes Bookshop and Emporium at 220 Baker Street, West London, definitely had nothing to say to the Star. Ms. Wilson and Ms. Doyle were rushed into the manager’s office to await the arrival of the detectives. Ms. Doyle was observed apparently attempting to hack into the office’s computer to pass the time. Stay tuned to the West London Star for further developments. RETRACTION: The Star in no way attempted to imply that Gemma Doyle had any illegal intentions while in the management office. Ms. Doyle made the following statement to the press: Given sufficient time and privacy I might have been able to penetrate the hotel’s online security. But, as I didn’t have those things, I didn’t. I therefore request an apology from Irene Talbot and the West London Star. Did you know I also write novellas for adult literacy? Well, I do, and the next one will be out on April 11th. The books are written for adults or teens with low literacy skills, but can also be enjoyed by ESL students, those who are short of time to read or "reluctant readers". 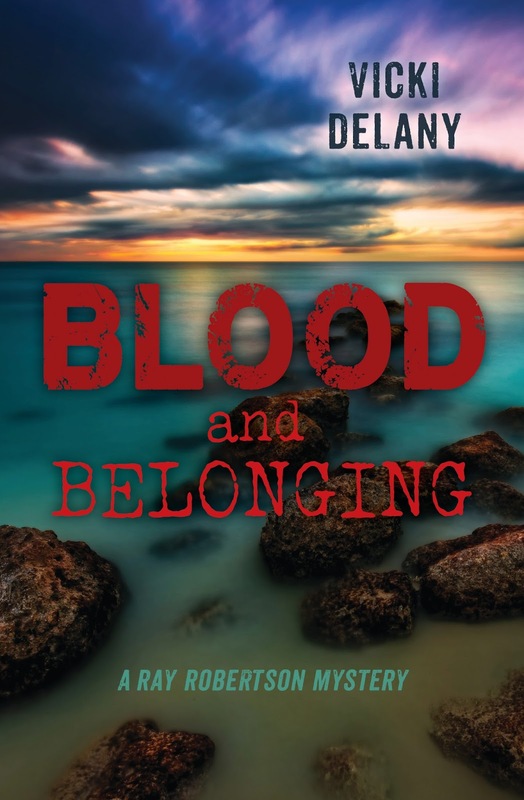 Blood and Belonging is the third Sgt Ray Robertson mystery from Orca Book Publishers. I'd love to give one away to an interested reader. You don't have to be involved in literacy to enjoy it. Please leave a comment below to enter the contest. Contest closes April 1. US and Canada entries. I can't wait to read Elementary She Read! And I love books that encourage literacy! Got a kick out of this posting. I am really looking forward to reading this book. Do hope it will be sooner rather than later. A new series! Sounds delightful. Can't wait to read it. kchinetti(at)gmail(dot)com. Thank you for your work helping people who need help with literacy. In the past, I did something much less impressive. And one of the wonderful things about helping people learn to love reading, they become readers...and of course they would love to be able to start this new series. Good for you! What a great idea. I'm really looking forward to reading Elementary She Read. And I also think it's wonderful that you write the short stories as well. I didn't even know there was such a thing! Maybe I'll turn my husband into a reader yet. hahaha!!! Thanks for the chance to win too. What a great cause, hopefully it will inspire more people to read. 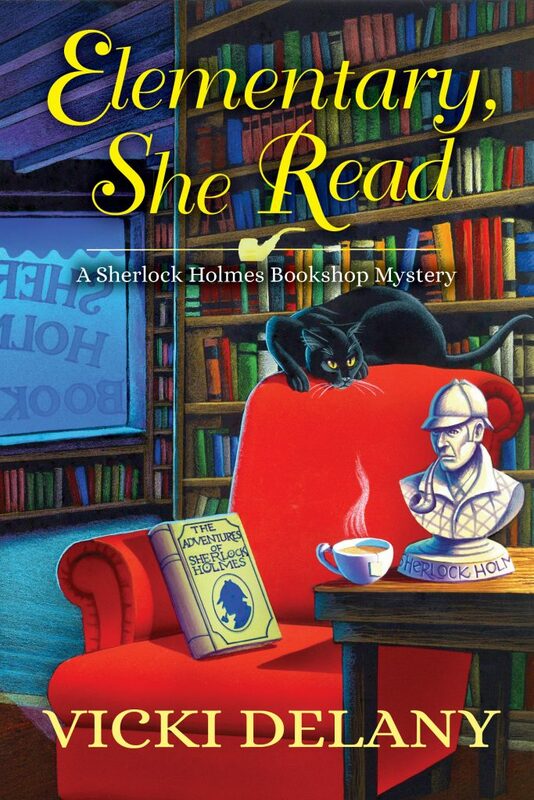 Looking forward to reading "Elementary, She Read". Thank you everyone for entering my contest. A winner has been chosen and contacted.